I wanted to write this book to share with you some of the many different ways that I have learned to celebrate the holiday season from my father and Guru, Beloved Bhagavan Adi Da Samraj. This season has always been a very special time for me, filled with the most beautiful, intimate, and loving memories of growing up and living in His Company. Beloved Adi Da offers those who respond to Him a complete way of life to live in relationship to Him which He calls "the Reality-Way of Adidam". In so doing, He has also created many wonderful and unique traditions for His devotees to celebrate during this season of the year. 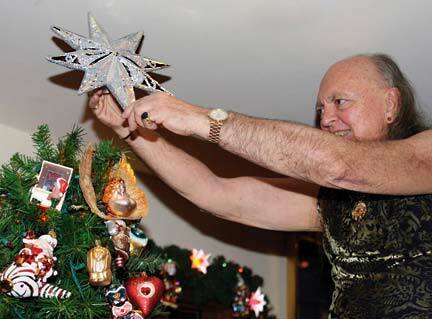 In His Company, this celebration is filled with the most personal family traditions and unique transformations of ancient traditions, as well as sacred symbols that have great significance in the Transcendental Spiritual process that Beloved Adi Da reveals. It is filled with many special events that have evolved over the years and that continue to evolve spontaneously each year. 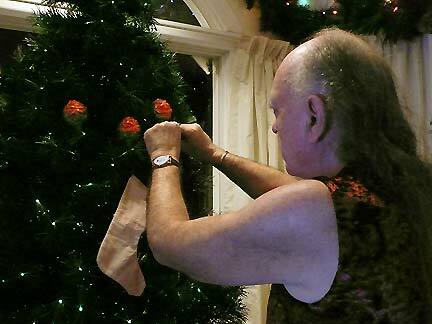 Throughout my life, I have had the good fortune to witness and participate in Beloved Adi Da's enjoyment of this holiday season, along with His detailed care in making it a truly sacred celebration for His devotees — and a time filled with universal love and positiveness for people of all faiths and places. In December of 2007, I offered a small version of this book to Beloved Adi Da as a gift, in honor of the special place this celebration holds in my heart and in my relationship to Him. When He received it, He graciously suggested that I produce this book to share with all of you. In the process of creating it, He was incredibly generous in sharing family stories and secrets about this celebration that He had not talked about before. He made Himself freely available in any moment to guide and Bless many details of the book, from small facts to precise quotes, specific color choices, and the entire design of the cover. When I was younger, we often had old holiday books that we kept under the tree each year. I loved to look through these special books, and often crawled under the tree to read them and look at their pictures. In creating this book for Beloved Adi Da, and for you, I wanted to make a book that could become a treasured part of this season, one to bring out each year and enjoy in a similar way. It is my hope that it helps you to share in the love and delight of the wonderfully rich traditions of this season in Beloved Adi Da's Company, with your friends and family, young and old. Next: The Season of the "Light-in-Everybody"